Glasgow's Helping Heroes works in partnership with the NHS and the Rangers Charity Foundation to deliver a 12 week Health and Wellbeing Course for veterans. The weekly course consists of two hours of self improvement, followed by 30 minutes of fitness training and one hour of coaching with participants working towards a SFA Level 1 coaching certificate. Included on the course are peer mentors - previous participants of the GVU course who made excellent progress during their time - these mentors will work alongside the veterans to help with any issues or concerns that may arise during the course. Each afternoon will end with a coaching session with one of the Rangers community coaches, where the participants will work towards achieving a qualification in coaching. Throughout the course participants will also be able to access various external initiatives including skill building, volunteering opportunities and social activities to capitalise on the skills, knowledge and friendships gained during the course. We are currently reviewing the success of previous courses and planning improved future courses, starting 2018. Watch this space for further details. 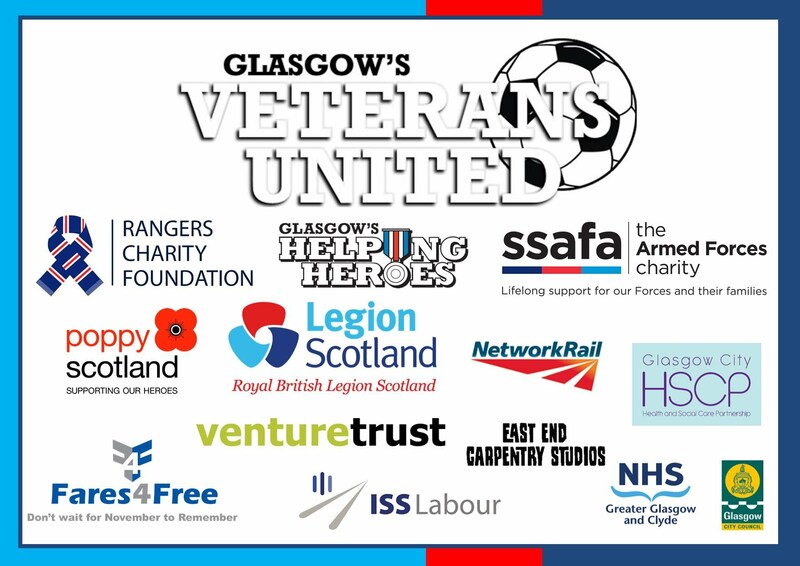 Glasgow’s Veterans United is open to all those who have served in the Armed Forces, now living in the Glasgow area regardless of age, gender, time in service or time since leaving service. Participants do not have to have a high level of fitness prior to starting the course.